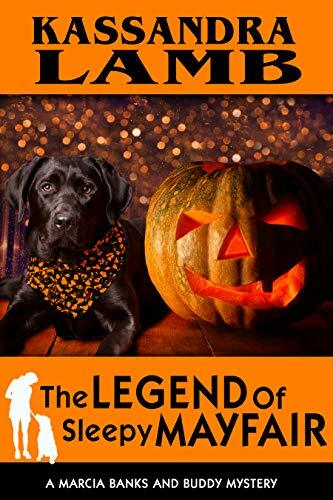 A Halloween romp with a seriously scary twist!Her adopted town is once again driving service dog trainer Marcia Banks a little nuts. No sooner has she moved her horse into the new Mayfair Riding Stable than its octogenarian, muumuu-wearing owner decides to turn the barn into a haunted house for Halloween. Meanwhile, an anonymous prankster is haunting Mayfair, disrupting its small-town tranquility, and the local postmistress has a strange request for Marcia. All this, along with her new role of godmother to adorable twins, is a bit overwhelming. But it’s nothing compared to what’s coming. As Halloween approaches, the evil lurking in the shadows will threaten what is most precious to Marcia and her beloved town.